Playing with paper dolls is a happy childhood memory for a lot of people, and Angela Yosten is one of them. 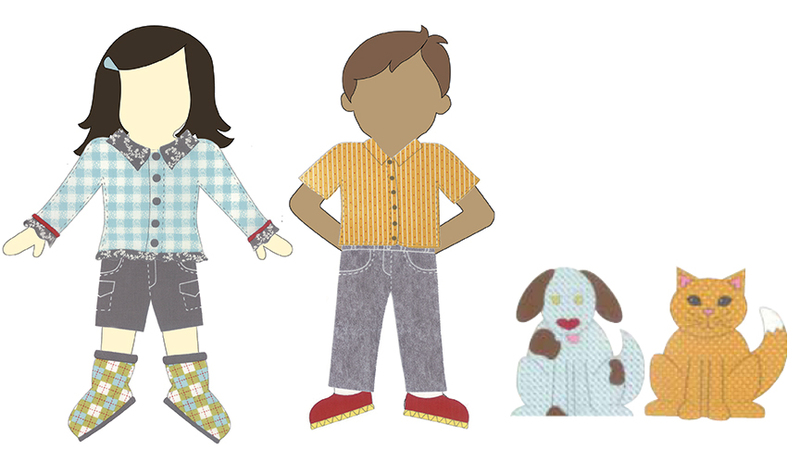 In 2009, she introduced her three-year-old daughter Paige to paper dolls and Paige loved them. There was just one problem: Paige’s little brother Matthew kept tearing the dolls’ heads off, and that made Paige really, really mad. In an effort to keep the peace, Angela spent a lot of time taping heads back on, but they were never quite as sturdy. 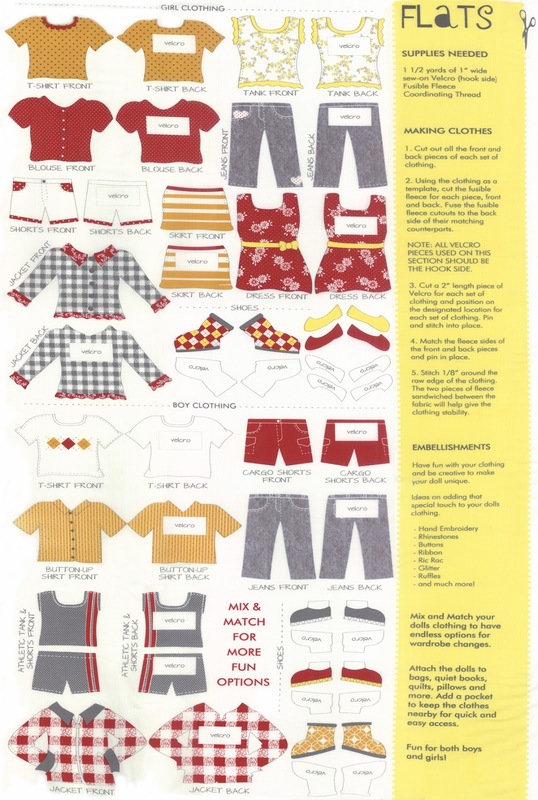 She eventually decided there had to be a better solution and used a Moda layer cake and fusible fleece to create sturdier “paper” dolls and clothing. 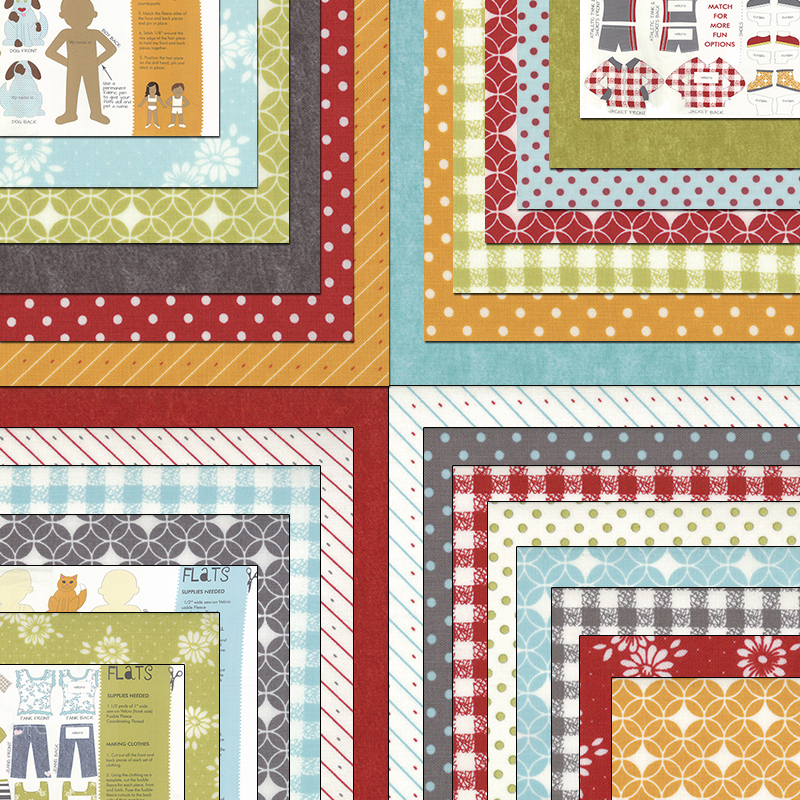 This year, Angela expanded upon her original idea with Flats, a new fabric line that includes panels printed with dolls and clothing for cutting out and stitching together, along with 24 matching prints perfect for making accessories, quilts, and other projects. Creating and designing come naturally to Angela, who grew up with parents who expressed their creativity in different fields: her mother owned a quilt shop and her dad operated a computer store. 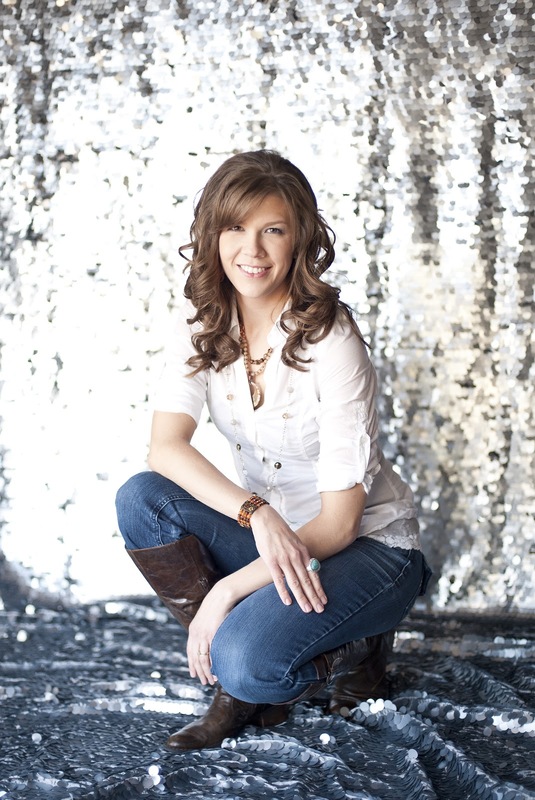 Angela, who is Moda’s webmaster, planned to be an interior designer when she went to college but ended up going into web design instead. “I like its immediacy,” she says. “When you design sewing projects you’re creating, too, but in a different way. I like the mixture of both.” A busy mom of three (in addition to Paige, now 7, and Matthew, now 6, she’s also got a 16-month-old son), Angela’s kids are a great source of inspiration: last year Stash Books published her Stop. Go. Quilt. Sew! 12 Fun Projects for Boys to Enjoy, and she’s designed for a fold-out cloth house for the Flats dolls, which her daughter helped her envision. A free project sheet for the house will be available on Moda’s website in May and Angela is working on more Flats ideas, including party invitations and coloring book pages, which she’ll post on her website. Flats yardage will hit stores in May and pre-cuts will arrive a little earlier. In addition, Aurifil is offering two thread collections that match Flats—a 50-weight thread for piecing and stitching and another with 12-weight thread for embellishing. 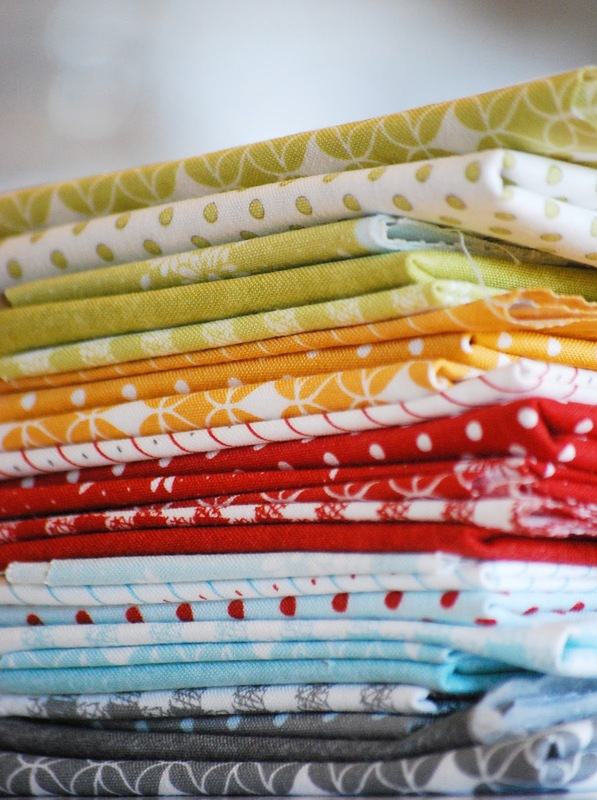 And the Fat Quarter Shop is offering a train-themed quilt kit using the bright and cheerful Flats fabric: All Aboard. If you think about it, all these projects have their genesis in the behavior of a two-year-old who annoyed his sister. But times have changed. Matthew stopped tearing the heads off paper dolls long ago. 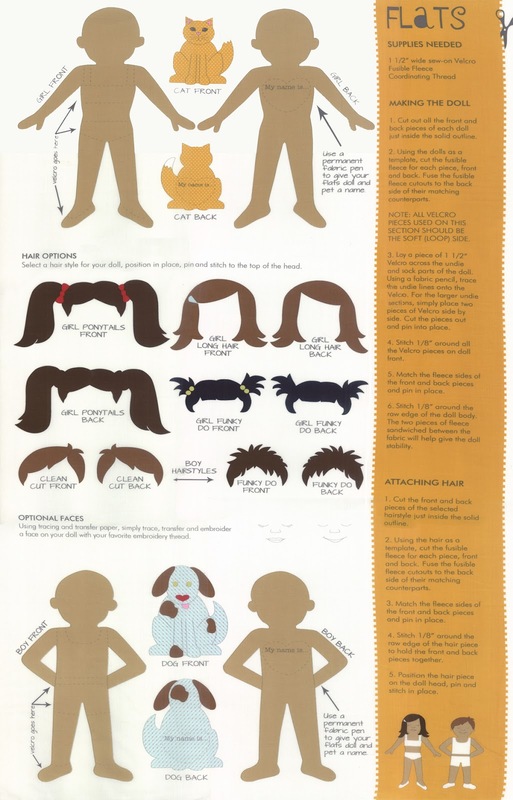 In fact, he now draws detailed, tutorial-like instructions on how to make dolls. Recently, he sketched plans for an Iron Man doll. “He’ll draw the head, then an arrow to show it connects to a body, then another arrow to show legs attached to the body and so on,” says Angela. “It’s amazing the details he includes—he’s quite an artist.” Like mother, like son. The opportunity to stitch Flats—dolls that will stimulate imaginative play—and share them with favorite children or grandchildren—will make us all grateful that creativity runs in this family. Next Next post: New SEWLINE ! Oh how fun! These would be great for imaginative play and lots of room to add your own touches too. We are past the doll stage but I just love the coordinates in this one!!! What a fun idea–sew cute!! Cute! Oh, this is gonna be big! Very unique. I can’t wait to get hold of this line. Where can you purchase the pre printed panel for the dolls??? Want to get a jump on Christmas gifts for my grand daughters.